The Organization-Building Workshop teaches you how to make a measurable difference in your local elections and governance, as well as building your organization and activating more long-term leaders. Ideal attendees for this workshop are activists, candidates, campaign staff, or organization leaders, including student or advocacy groups. Whether your involvement is full time, volunteer, or just getting started, you will enhance your organizing skills to be able to recruit, retain, and mobilize supporters at the local and state level. • Build Coalitions and Lists of Contacts, Donors, Supporters, Petition Signatures, etc. Contact Nathan with your questions. Nathan is the Grassroots Program Coordinator at the Leadership Institute, where he has trained over 2500 activists, candidates, and elected officials. As LI's former Pacific Regional Field Coordinator, he oversaw campus programs in California and Hawaii. His activism led to pro-free speech policy changes at 11 colleges in California, including the largest community college district in the state and in the country. As the former West Coast Regional Director at Young Americans for Liberty, he oversaw the creation of over 100 student groups and managed more than 20 state leaders. In the 2016 Presidential Primaries, Nathan was the Northeast Regional Coordinator of Students for Rand Paul, where he redesigned the volunteer recruitment system to produce over 100,000 voter contact calls in 13 states. During the 2014 election cycle, Nathan was a Deputy Field Director for the Massachusetts Republican Party, where he mobilized volunteers to canvass over 12,000 households for a successful gubernatorial campaign. 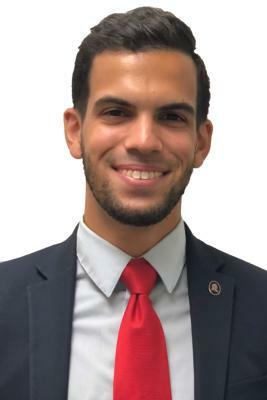 Originally from Boston, he has a Bachelors Degree in Political Science from the University of Massachusetts, Amherst, and a Minor in Spanish from the Pontifical University of Salamanca, Spain.